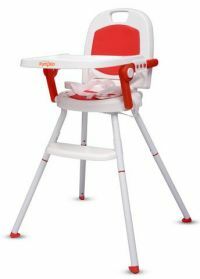 This high chair, when floded, becomes so compact that it can be carried in a small hand bag. You can take it where ever you want. To Recieve updates and possible rewards for Little Pumpkin 3 in 1 Foldable (Green) please sign in. To Recieve updates and possible rewards for High Chairs please sign in.